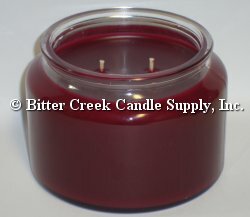 We are often asked, "What is the best wick" and while I wish there was a best wick out there I could suggest. The best wick will come from knowing what types of wicks work best in the waxes you are using, based on the exact widest diameter of the jar you plan to use. I would be thrilled to offer my knowledge and assistance in selecting wicks for you to test. Just please be aware in most cases, since every wax will work differently with each wick, I can only answer questions based on wax I am familiar with, the waxes we sell.